What the best spray to combat leaf curl? Is copper suitable or is there something else? 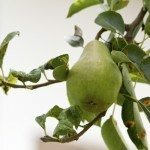 Assuming you are referring to fruit trees, the only treatment is to minimize stress by supplying additional fertilizer and irrigation as well as removing some of the fruit load. Applying a fungicide in autumn will help prevent future problems. You can also try spraying some in spring prior to bud swelling. 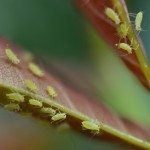 While it is often deemed to be less effective than fixed copper products, lime sulphur is an acceptable form of organic control for this disease.